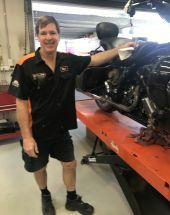 With over 30 years experience as a technician, and over 15 years experience with Harley-Davidson's, Marc brings knowledge and passion to our workshop. 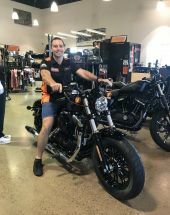 Whilst he has a large collection of WLA's, Shoveheads, Pan heads and more, Marc's every day ride is a Softail Springer. 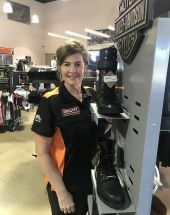 A motorcyclist all her life,and a motorclothes enthusiast, Kerry takes Harley-Davidson apparel to a whole new level. Be prepared for exciting new clothing and merchandising ideas. Every day ride is a Anniversary Streetglide. Maxine takes on a new path in the motor industry this time around. A service guru in the industry, she will now focus more on the retail end of the business.Maxine is the go to girl for finance and insurance. Every day ride Super Low. Dan is a local boy who grew up around motorcycles. 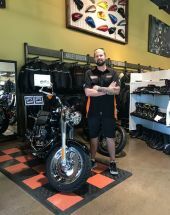 He shares the passion of riding with his work, and loves what he does. 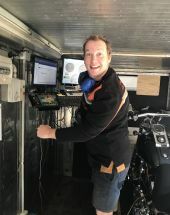 Dan has added his technician roll to the rider position on the V-Rod destroyer drag bike. 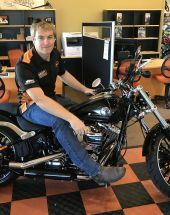 Andrew joins the team as our new service advisor. 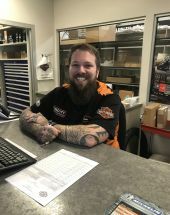 He brings to the table over 10 years experience in the automotive world. He is a rider, and looks forward to serving riders alike. If you are in store, feel free to say g'day to our newest team member.